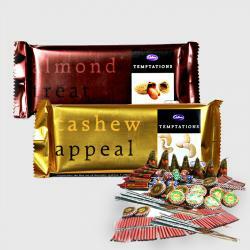 Product Consist : 2 Bars of Toblerone Chocolates ( Weight : 50 Gms each) with Assorted Fire crackers (Worth Rs.300/-) (Note: Types of Fire Cracker are depends upon their availability no specific choice). 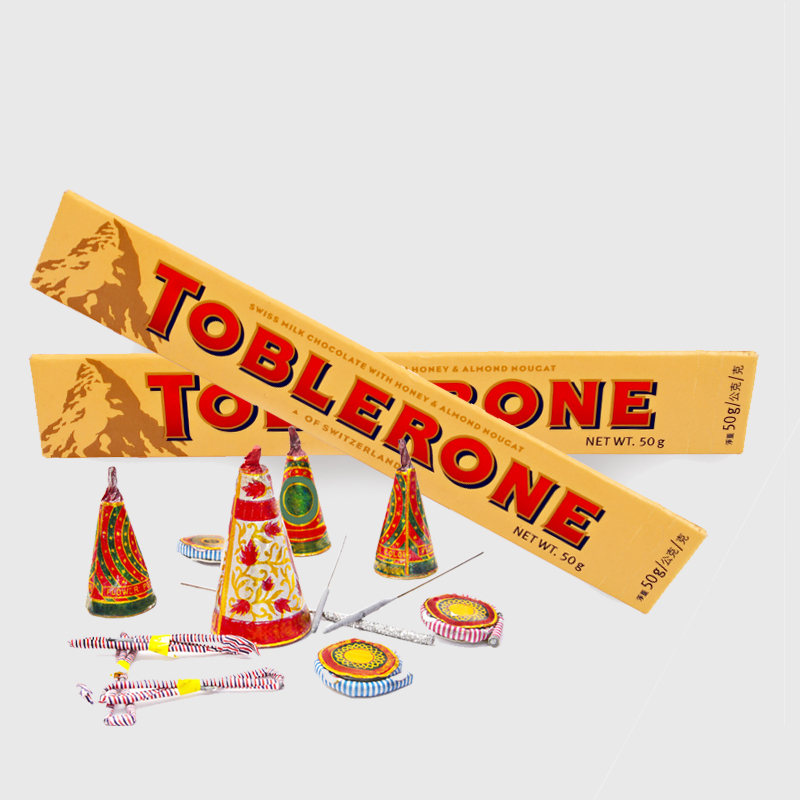 On the Special day of Diwali gift your family and friend younger persons this hamper which includes 2pcs of Toblerone of net weight 50gm each and mix crackers worth Rs.300 as a token of love. The Toblerone is a Swiss milk chocolate made up of almond and honey nougat. 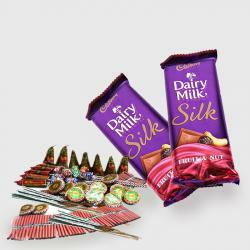 The flavor of the chocolate is milky and chocolaty which is liked by the children. 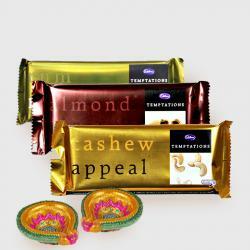 The pack also has crackers which will make him excited and will engage him playing with it. This combo has a special charm which will be cherished by them forever. 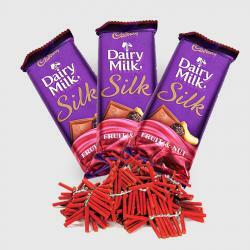 Product Includes : 2 Bars of Toblerone Chocolates ( Weight : 50 Gms each) with Assorted Fire crackers (Worth Rs.300/-) (Note: Types of Fire Cracker are depends upon their availability no specific choice).